An iconic Carney establishment has closed its doors. 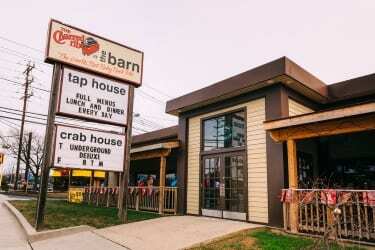 The Barn, located at the intersection of Harford Road and Joppa Road, held a “Drink the Bard Dry” event on Saturday night, July 7, announcing that that would be the last day/night they would be open. The popular Carney hangout recently rebranded as The Charred Rib at The Barn, and even more recently announced that they would only be open on weekend evenings for band performances. Now, The Barn’s time in Carney seems to be up. There has been no word as to what will be opening in its place.